Cash Back is not eligible on high volume orders as defined by FOREO. FOREO defines high volume orders as more than 5 items of the same item in a single order. Lower cashback on sales item. 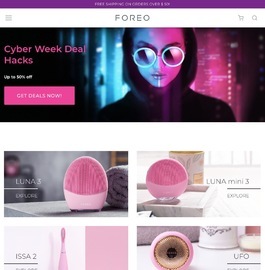 Click a Coupon or click Start Shopping to earn 8% Cash Back at FOREO.